14th Dalai Lama is not only significant person for Tibetans but also for all Buddhist throughout the world and even though his every single day was like a nightmare since he immigrated to India, he could have attracted world attention to Tibetan Buddhism because of his reputation. Therefore 14th Dalai Lama is considered intellectual mentor of Buddhists in Mongolia, Bhutan, Nepal, Russian Buryat, Tuva and Kalmyk where Mahayana is dominant religion. During mid 1950s Tibetan anti-Chinese movement began which turned violent protest in 1959. Chinese authorities knocked it down with military force. For that reason Dalai Lama fled to Dharamsala-the city close to India-Chinese border-where now he resides. Along with Dalai Lama, intelligent religious leaders or elites of Tibet also fled. These fellows were actually political refugees because of they supported his political ideology and Tibetan independence from China. This led him to form the Tibetan refugee government having everything but defense in India. He stated “However I don’t run political affairs, China doesn’t think so. If I fight for Tibetan independence, this is politics. What I am fighting for is to preserve Tibetan culture and tradition.” in his interview in 2008 which proves he is politician. In Tibetan Dalai Lama means “Ocean-teacher”. 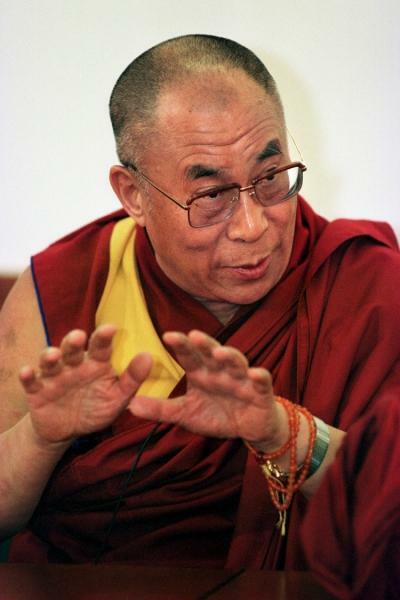 The history of Dalai Lama is continuing through 6 centuries. In Mahayana Buddhism Dalai Lama is the successor of Bodhisattva Avalokitesvara who is an agony reliever. It is believed that enlightened Avalokitesvara pledged not to leave the earth until no one suffers. The main principle of choosing new Dalai Lama is Avalokitesvara is reborn because sufferings won’t end. As Dalai Lama gradually gets older who is 75 years old now, the future of Tibetan refugee government is getting blurry furthermore it’s clear that every Buddhist is concerned. 15th Dalai Lama’s issue is clearly discussed when 14th Dalai Lama is alive and groups in Tibetan Refugee government are not agreed on this issue so various rumors spread not only in Dharamsala but in the world. Hereupon it is attention-getting matter from where, who to choose next Dalai Lama and his opinion as well as China’s attitude towards this issue. When we look from Lamaism practice it is certain that there will be prediction of way they choose Dalai Lama’s successor is to find from nearby place or country but only by quest of his surrounding lamas. Thus there will be two problems; one is to find Dalai Lama’s successor from abroad since he lived outside of Tibet, another one is to be found from Tibet and be brought him to Dharamsala by liable monks whom will be ordered by will of Dalai Lama. It is obvious that Chinese government will not accept. The rumor spread throughout the world which was about in order not to accentuate Tibetan issue, Religious Affairs of People’s Republic of China released special guidance regarding to Tibetans’ intellectual life. It is predicted that in this guidance to find the successor of “Living God”, only Chinese government is allowed to accompany. Hence it is a law being a topic of conversation everywhere; no one is allowed to announce himself as ‘Living God’ without permission of Chinese government and Religious Affairs and the process of finding the successor should not be run by any group or individual’s influence that is abroad. In 2000 14th Dalai Lama first expressed that if Tibet doesn’t separate from China when he is alive, he will reborn in only Free State. Deepening this thought, the new tradition of finding his successor which was initiated few years ago by 14th Dalai Lama. The core principle of this idea is to have nationwide poll in Tibet and Mongolia on either Dalai Lama choosing his successor or Higher ranked monks choosing successor. As a result it is visible that Dalai Lama would like his successor to be found from everywhere except China according to his number of interviews and statements. Besides if Dalai Lama passes away, Chinese government will likely to choose new Dalai Lama with the help of Tibetan high ranking Lamas who are on Chinese side similar way they used choosing Banchin Lama. This leads to probability of two Dalai Lamas, one of whom will be found by the will of 14th Dalai Lama, other one will be approved by Chinese government. There was only one occasion of finding Dalai Lama from Mongolia. Actually the title ‘Dalai Lama’ was first given by Mongolian Tumedyn Altan Khan. When Altan khan visited to Khokh Nuur to meet the leader of Lamaism’s Gelegba, Sodnomjamts, whom he invited from Tibet in “Tsavtsaal” monastery and Sodnomjamts, was given the title “God preacher Ochirdari Dalai Lama”. Afterwards the Dalai Lama title was lately given for Gendenduv I and Gendenjamts II. 4th Dalai Lama was chosen from Mongolia whose Tibetan name was Yondonjamts. 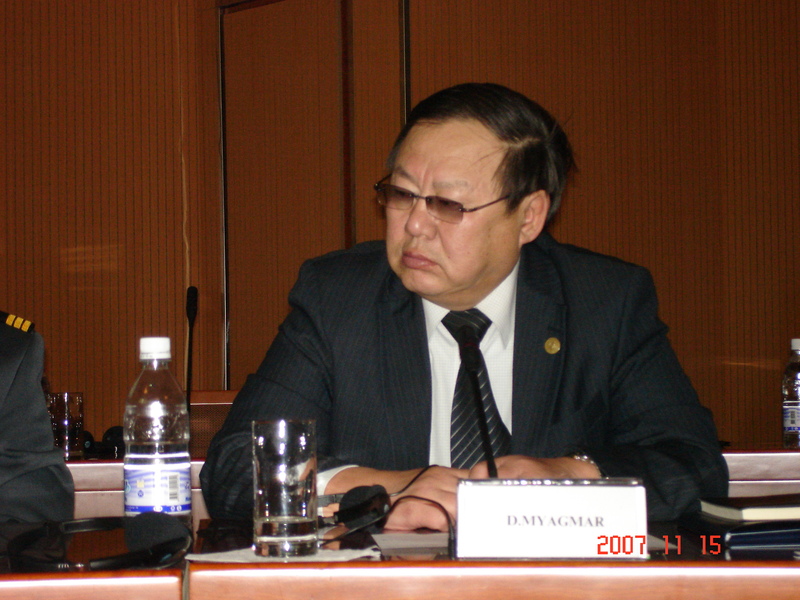 He is the great-great grandchild of Mongolian Altan Khaan, was born in family of Prince Sumber in 1589. He is the sole non-Tibetan Dalai Lama among fourteen, who was from Mongolia Golden Lineage. Relating to these, rumor spread in Mongolia because of in 15th century 4th Dalai Lama was Mongolian, 15th one could be from Mongolia as well. Even though Buddhism is not legalized as state religion, it is dominant religion in this independent country so there are many people think Mongolia should be the center of Buddhism. Besides that, Buddhism has the unique way to find their high priest and lama which is only one in the world. This is very complicated task and conditions must be suitable to implement. Unfortunately this custom has disappeared in Mongolia since 1924 where almost no one knows. Generally it is the issue might affect Mongolia China relations unpleasantly so that many researchers will have conclusion of Mongolians not to force it.